Cheer on tumbling gourds as they travel down iconic Ocean Avenue in the seaside village. 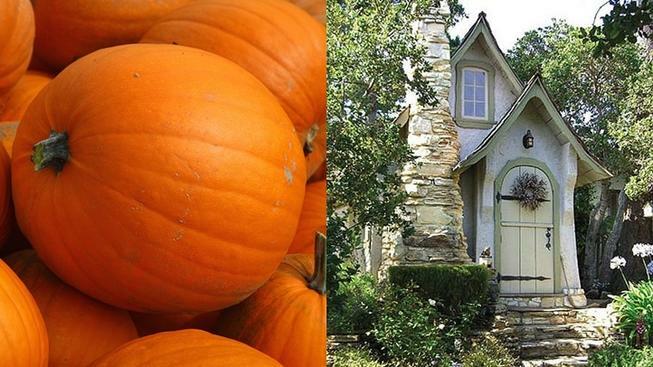 Be in the quaint village on Saturday, Oct. 13 for one of the most whimsical squash-related parties in the Golden State. IF YOU KNOW CARMEL WELL, you know that Ocean Avenue takes a definite slope down toward the the direction of the Pacific Ocean. And yet? This fact of elevation may or may not assist participants in quickly sending pumpkins rolling along Ocean between Santa Rita and Junipero Streets, or it may. Really, it all depends upon the squash in question and whether the gourd has go (and not too many bumpy features that will prevent a smooth and speedy journey). There are "... hay bales and fencing to keep pumpkins from veering off track," and plenty of pumpkin lovers cheering other pumpkin lovers on at the sweet event. Bonus? When the early-afternoon competition ends, well, you'll be in Carmel on a bright autumn Saturday. SO, WHAT'S BETTER? A caramel pumpkin roll or the Carmel Pumpkin Roll? Both are great, but only one is happening on Ocean Avenue, in Carmel-by-the-Sea, on Saturday, Oct. 13, 2018.